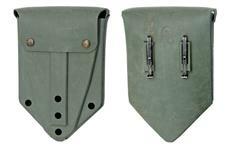 Entrenching Tool Carrier, U.S. M1956, Used | Gun Parts Corp. 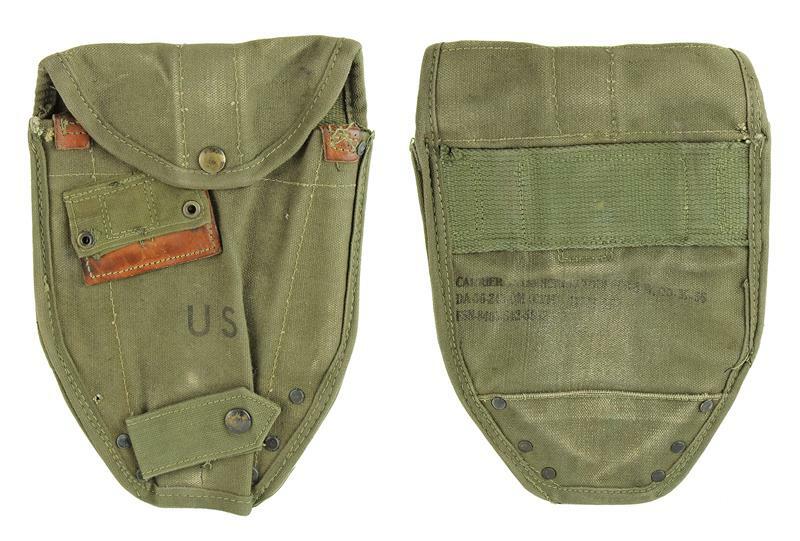 This is an original U.S. M1956 (M-56) olive drab canvas carrier designed to accommodate either the M1943 shovel or the M1951 entrenching tool. 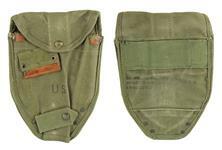 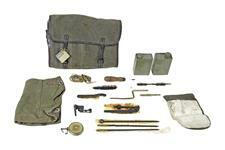 The carrier includes a snap-button flap closure, snap-button bayonet hanger strap, and period markings. 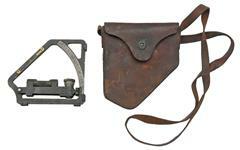 The belt clip & Alice clips are not included. 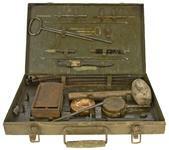 They are in good used condition.